John, a man haunted by his beginnings, struggles with finding meaning and worth in his life. This leads him to choose a path of selfishness and drug abuse. Consequently there's a breakdown of relationships with his family and his wife. 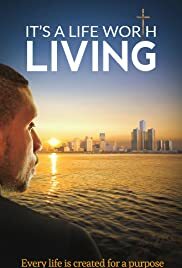 When things start to crumble all around him, John gets the wake up call that he needs in the form of a caring new friend, and others in his life that reach out to him in ways they hadn't before. God working through them and reaching out to John, guides him on a path of discovery about where his worth and value truly come from, and what in life is truly valuable. Every life is created for a purpose.